I’m always a little leery of coming off as Pollyanna talking about flourishing with diabetes and issuing my personal mantra, “You can have a great life not despite, but because of diabetes. But lo and behold I appear to be in the majority not the minority, so maybe I don’t have to hold my tongue. Just this morning the morning news broadcast research on how we talk, and the story was published in the New York Times. 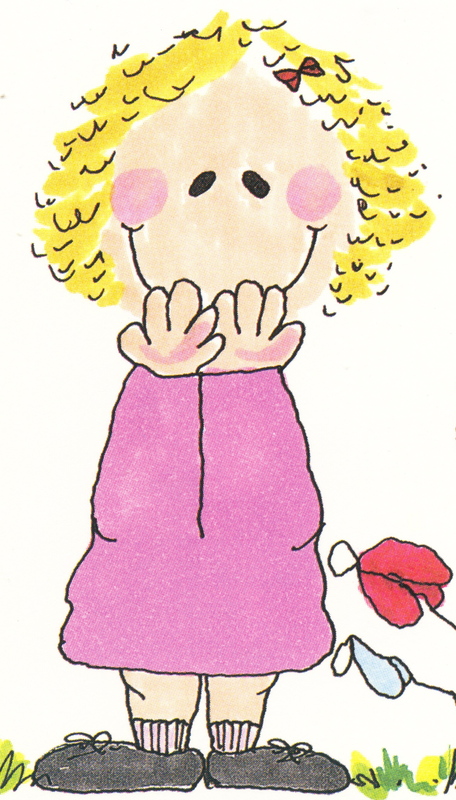 Research shows most of us speak more using positive language than negative. We may be consumed with problems in our lives and we see nothing but talking heads discussing how the world is falling apart, after all news has always followed it’s own mantra, “if it bleeds, it leads,” yet as social creatures who enjoy socializing we talk more often about the positive. Admittedly, one piece of advice to be happier is to avoid negative people, now that seems quite prescient if not wise. For the full article click here. My latest article that just went live on The Huffington Post is about something we hardly teach people about – low blood sugar (hypoglycemia). Certainly if you live with type 1 diabetes, you’re no stranger to lows. But if you have type 2 diabetes and use insulin or another glucose (sugar) lowering medication, you can also experience lows. The absolutely crazy thing is the morning I was writing this post, I kid you not, I gave myself hypoglycemia!!! Divine providence? And I do mean I gave it to myself – I mixed up my rapid- and long-acting insulins. Whoop, as soon as I realized, I pulled the insulin pen out of my leg and freaked. Well, quietly freaked, then ran to the pantry and downed maple syrup. Here’s the story. Below is information about what you should do to prevent and treat low blood sugar should it happen. Hypoglycemia is most often caused by skipping a meal or snack or eating less carbohydrates than you’ve taken medicine for. Increased physical activity or drinking alcohol, which typically lowers blood sugar, without eating enough carbohydrates, may also cause hypoglycemia. Or, mixing up your insulins. Mild hypoglycemia (blood sugar below 70 mg/dl (3.9 mmol/l)) – Sweating, shakiness, pounding heartbeat, drowsiness, numbness, tingling of mouth or lips. Moderate hypoglycemia (blood sugar below 55 mg/dl (3 mmol/l) – Headache, irritability, blurred vision, confusion or difficulty concentrating, ravenous hunger, slurred or slow speech, poor coordination. People in moderate hypoglycemia are often thought to be drunk. Severe hypoglycemia (blood sugar below 40 mg/dl (2.2 mmol/l) – Convulsions, seizures, unconsciousness. If this state is not remedied you can die. For mild and moderate hypoglycemia the rule of thumb is the “Rule of 15.” l Eat 15-20 grams of fast acting carbohydrate – for instance 4 glucose tablets, 4 ounces of juice or regular soda, 2 tablespoons of honey or maple syrup, a handful of Skittles or SweeTarts – wait 15 minutes and check your blood sugar again. 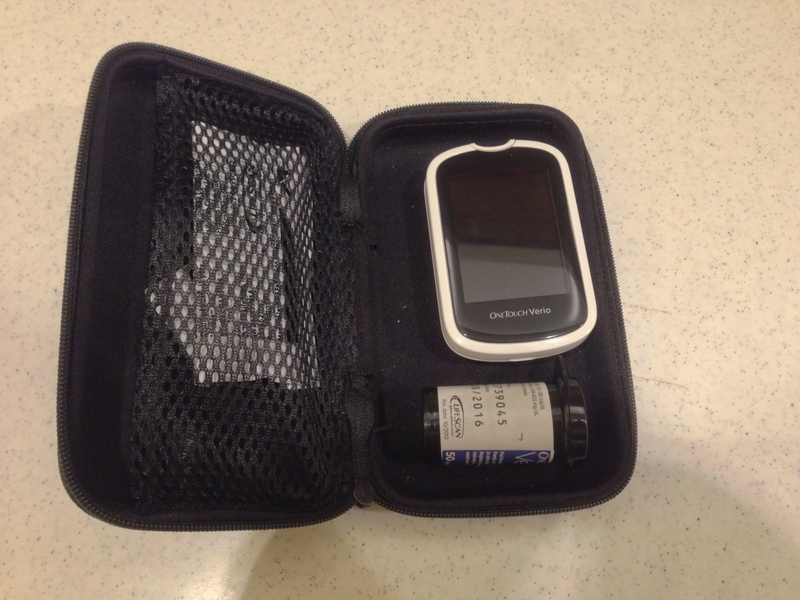 You want to bring your blood sugar up to around 100 mg/dl (5.5 mmol/l). If you’re still low, repeat the Rule of 15. If you experience severe hypoglycemia, since you cannot help yourself, someone must inject you with glucagon if you have it, or call 911. If you are helping someone with severe hypoglycemia, never force them to eat or drink as they can choke. Because glucagon can be difficult to use – it requires mixing a formula and injecting a loved one when you’re panicking – several companies are working on an easier formulation and delivery method. These include an epi-like pen and a needle-free nasal powder. There is no foolproof method to prevent hypoglycemia and if you have hypoglycemia unawareness (you don’t get the symptoms of hypoglycemia) you are at greater risk. The best prevention is to check your blood sugar frequently, including before and after meals and exercise, before you drive, and before you go to bed to try and prevent going low while you sleep. Also, take heed of the causes of hypoglycemia above. Since you can’t always prevent hypoglycemia, do be prepared for it. Keep a form of quick acting sugar in your home, at your office, in your car and by your bed. I carry 4 glucose tablets in these little plastic keychain containers (available online) in all my purses and jacket pockets and keep a bottle of glucose tablets by my bed. If you want to know more about prevention, read certified diabetes educator Gary Scheiner’s article, 10 Proven Strategies for Cutting Down on Low Blood Sugars. I’ve always thought I wouldn’t get a face lift, but who knew? Okay, I didn’t get one but my web site did. And, by the way, my closet is getting one too at this very moment. It promises to be a walk-in closet, although once you walk in there’s barely enough room to turn. Ah, city living. Okay, back to diabetes. If you’ve been to my site, DiabetesStories, before, it looked like the above picture, so now you know you’re in the right place. (Hopefully) you’ve been redirected here and it looks a little more like we’re in the 21st century. Yes, after seven years blogging, it was time to go into the clouds. Take a few minutes to stroll around, there are some nice photos. I especially like the one of the hand on my WORK page. You’ll learn a bit about me, my work, my books, and this and that and feel free to contact me on the CONTACT page. It’ll be lonely here when my contractor finds the door handle for the closet that he’s looking for and it’ll be just me again. I’ll continue blogging here on things I find new and interesting or thought provoking or personal. Plus, there’s an amazing archive of blog posts, over 7 years, and really, when I went back to read them all, many were quite impressive. This year I’m writing my fourth book. Yes, some people say, “Why?” My Aunt thought I couldn’t fill one, and she has diabetes. This one’s about how to flourish with diabetes. Trust me, there’s little if anything that’ll tell you that. I’m not talking cope, I’m talking flourish. How to live a joyful, productive, purposeful, healthy and happy life – with diabetes. Or as I like to say not despite, but because of diabetes. Health professionals will also learn how to work from a “flourishing” rather than a “coping”approach, and yes, there’ll be simple tools to help you. I’m also creating some mini videos for dLife based on my latest book, Diabetes Do’s & How-To’s, which will be, hopefully again, fun and entertaining and designing a series of webinars for Wellcoaches, to help health professionals gain some coaching skills to more effectively help people with pre-diabetes delay or avoid type 2 diabetes. So that’s it in a nutshell, except for the wild parties, orgies and raves of course. 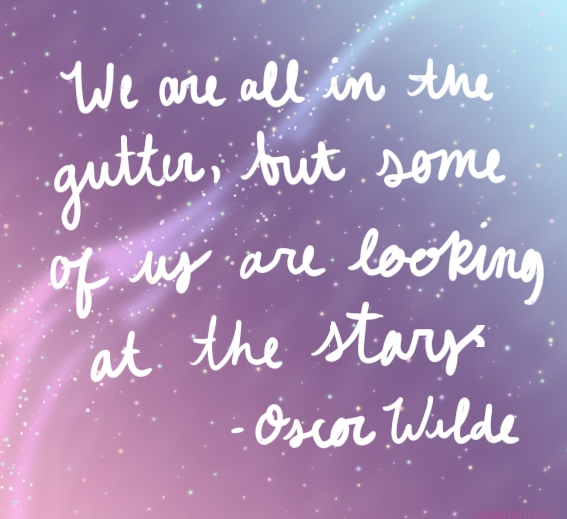 As Oscar Wilde said, “We are all in the gutter, but some of us are looking at the stars.” I’m right here in the gutter with you living with diabetes, 43 years this month, but most of the time I’m looking up at the stars. You get that that’s figurative because you can’t see stars in New York City. But quite literally, it would be my greatest pleasure to take you along. With this new site we’re already in the clouds, how much further could it be? Okay, it’s almost funny or like when all your electrical thingamajigs don’t turn on at the same time. Saturday I spent the day with a friend and slept at her apartment because I’m having my closet renovated and there was going to be a heavy smell of oil primer which I was informed would make breathing, let alone sleeping, a no-go. So, okay, I took my lodging elsewhere. Except, while I was dutiful to pack my meds and meter, I didn’t realize there was no lancing device in my meter case. In the end, it wasn’t a big deal. I didn’t experience going too high or too low, but I realized just how vulnerable I felt without being able to check my blood sugar throughout the day to know for sure. It felt like walking on a tightrope without a net. It was not a nice feeling. Then this morning, this very morning while writing a post on hypoglycemia (low blood sugar) for The Huffington Post, I almost gave it to myself. Two days ago I acquired an insulin pen, the Echo pen which holds Novolog, for my mealtime injections. I’ve long used the Lantus Solostar insulin pen for my long-acting insulin, but always taken my mealtime insulin with vial and syringe. So, without thinking, injecting myself with the Echo pen, I gave myself my Lantus dose. I took 8 units of Novolog instead of 2. I knew this was not good but there were so many variables which could make this go terribly wrong or terribly right. As soon as my finger pressed the Echo pen button and hit bottom, I realized my error and yanked the pen out of my leg. So I didn’t hold the button depressed for any length of time. So, how much insulin had actually gone into my body? I had no idea. Also, this has never happened to me before, to overdose like this, and I didn’t want to find myself passed out on the floor in an hour, especially as I was home alone. So I drank a quarter cup of maple syrup and watched my blood sugar skyrocket to 338 on my Dexcom CGM! But, I didn’t know if I could trust “Pinkie” yet because I had just put her on this morning and it usually takes a day of calibration with my meter for her to track. Oy, again! All that said, I decided I didn’t want my blood sugar to keep increasing, and in my mild hysteria, or loss of all rational thinking, I decided to take my usual morning walk to bring down the syrup high. Yep, I went out into absolutely miserable weather – hail, rain and sleet, trying not to fall on the ice, to now walk my sugar down, forgetting, while the syrup had immediately raised my blood sugar the insulin hadn’t had enough time to peak yet to start brining it down. 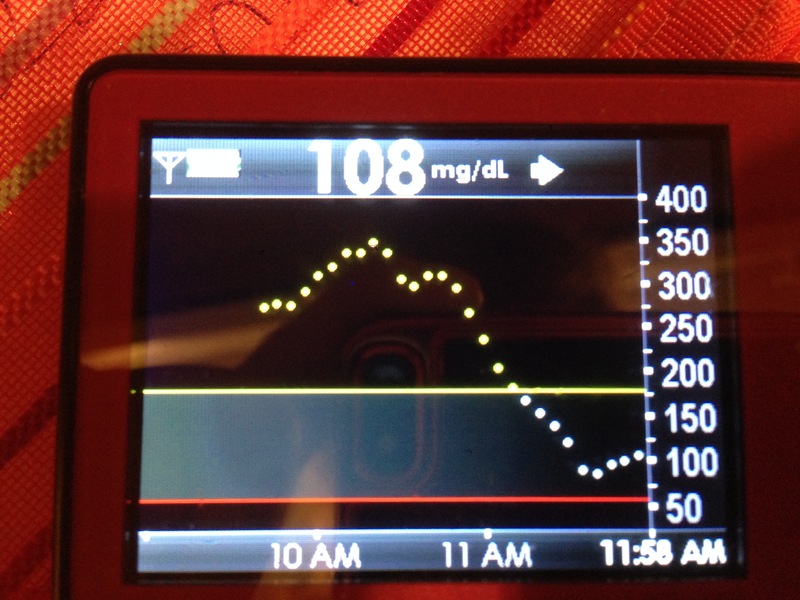 You can see on my CGM what occurred. Actually, it all went pretty well. My guess is I didn’t get more than a few units of Novolog into my body because I didn’t keep the insulin pen button depressed. And I’m fine now, but I truly realized after living with diabetes for 42 years, how vulnerable we are every day and the opportunity for casual, yet impactful, mistakes. My father told me when I was sixteen and he was teaching me to drive that I had a heavy foot on the gas. I now realize I also have a heavy hand on my insulin at times and at other times am too quick to correct. Well, nobody’s perfect, and how I try! I can’t say that I’ve learned from this because I know you can do the exact same things two days in a row and get different results, but what it has taught me is to slow down, think a bit more, and have a bit lighter hand on whatever I’m doing. And I can say, in the end, I’m still here.